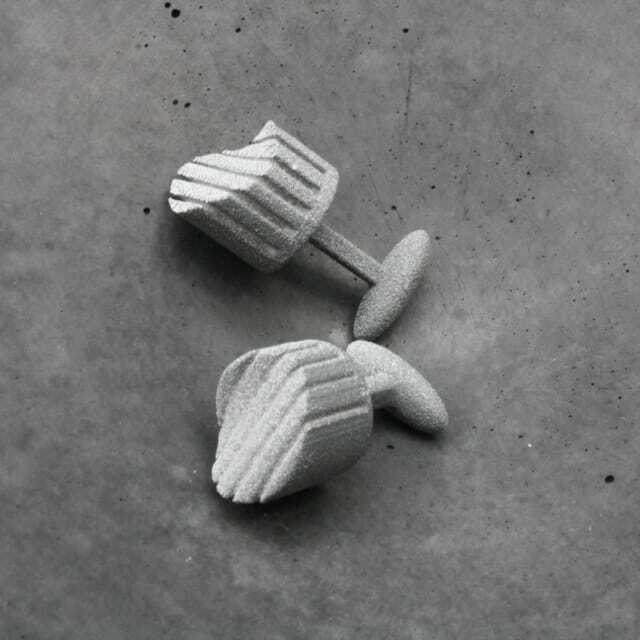 Based on the idea of repetition and distortion, these cufflinks continue my exploration of order and chaos. 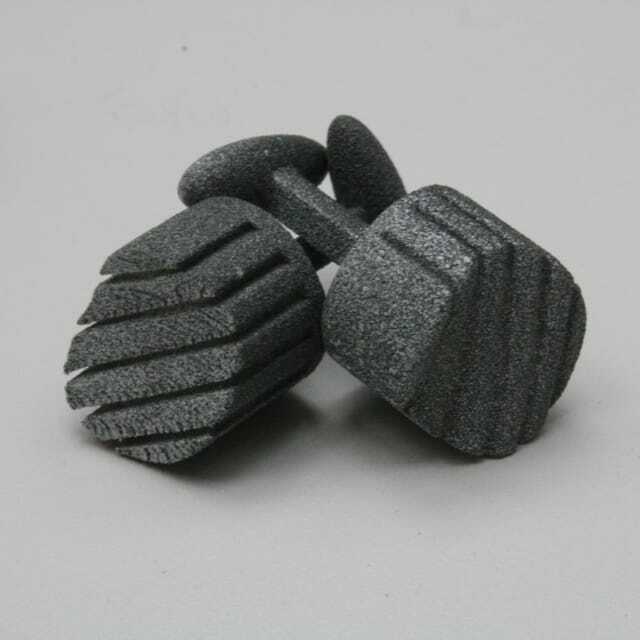 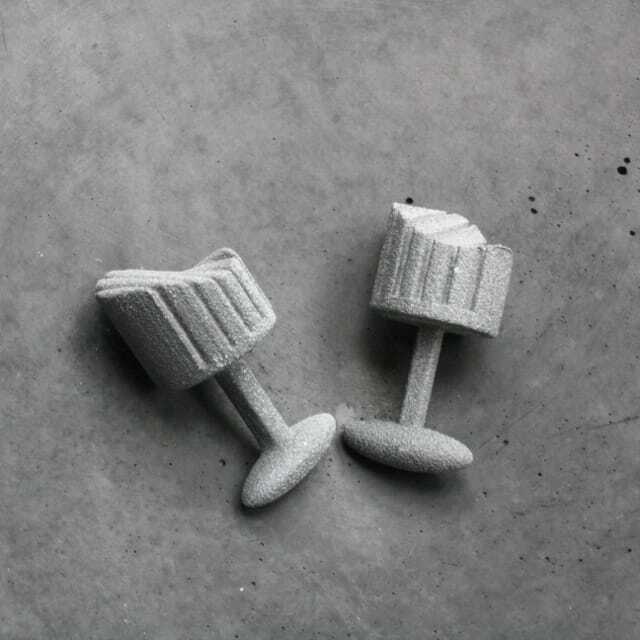 These cufflinks started their life in a bed of nylon powder, where a laser fused micron thick layers of material, creating strong and incredibly light objects. 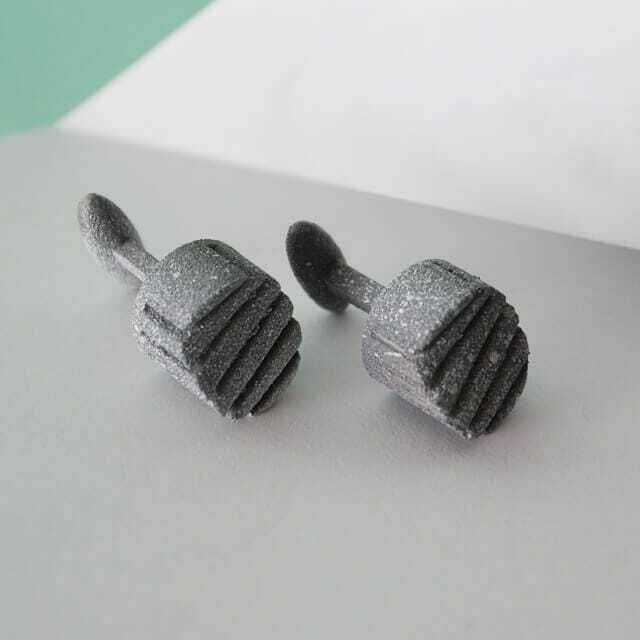 These cufflinks have a unique, modern look and will compliment any shirt.